The shipping industry is the lifeblood of the global economy. According to ICS, the international shipping industry is responsible for the carriage of around 90 percent of world trade. There are roughly 50,000 merchant ships registered in over 150 nations manned by over a million seafarers generating over a half trillion dollars per year in freight rates. In this article, we will look at the international shipping industry, investment opportunities within the industry, and how investors can build exposure into their portfolios. 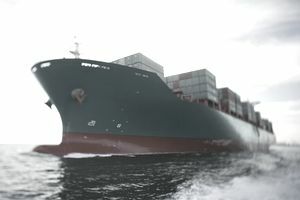 The global shipping industry went through tough times during the financial crisis of 2008-2009. While the industry experienced a brief recovery from 2010 to 2015, supply and demand concerns have put pressure on top- and bottom-line performance. The Baltic Dry index, a measure of freight rates for carriers of commodities like coal and iron ore, fell more than 90 percent from over 11,000 in 2008 to less than 1,000 by 2017. At the same time, the industry has struggled with an oversupply of ships and higher bunker fuel prices have put pressure on profit margins. These trends led credit rating agencies like Moody’s to issue a negative outlook on the sector in 2017. The good news is that freight volumes are expected to stabilize over the coming years as these issues are resolved. If the global economy continues to recover, these volumes are likely to pick up as demand rises from both developed and emerging markets. Consolidation within the industry could also reduce price competition over time, which could help improve profitability and eliminate many of these concerns. Finally, value investors may also begin to find opportunities in the space as fundamentals improve. Billionaire investor Warren Buffett once said, “you pay a very high price in the stock market for a cheery consensus.” In other words, the best opportunities may be companies that are trading at depressed prices rather than those that are already experiencing a strong rally. There are many different ways for investors to build exposure to the shipping industry into their portfolios, including the use of both funds and individual equities. Exchange-traded funds (“ETFs”) are the easiest way to invest in the shipping industry since they provide diversified exposure in a single security. The most popular shipping ETF is the Guggenheim Shipping ETF (NYSE ARCA: SEA), which has about $115 million in total assets, as of July 2017. With a 0.65 percent expense ratio, the fund holds 27 different shipping companies in the form of common stock, American depositary receipts (“ADRs”), global depositary receipts (“GDRs”), and master limited partnerships (“MLPs”) while paying an attractive 4 percent dividend yield. Common stock and American depositary receipts (“ADRs”) are another great way to invest in the global shipping industry by selecting individual stocks. Investors can find a complete list of companies by looking at the holdings of the Guggenheim Shipping ETF contained in regulatory filings or the fund’s prospectus. The shipping industry has struggled over the past few years, while several high-profile companies have gone bankrupt. In the words, investing in the industry isn’t for the faint of heart and it’s important for investors to do their due diligence. Supply: This is the number of vessels that are currently on the market, which is impacted by both new builds and retired vessels. Demand: This is the demand for shipping by end market consumers, which is driven by the overall global economic growth rate. Costs: This is the cost of operating a vessel and long-term costs, which includes both bunker fuel costs and the cost of debt (e.g. interest payments). Investors should be cognizant of these three factors when analyzing the industry. For instance, the Baltic Dry index could rebound (signaling greater demand and/or less supply), but the benefits to shipping companies could be offset by higher bunker fuel prices. The shipping industry is the lifeblood of the global economy. While the sector has struggled over the past several years, investors may want to consider adding exposure into their portfolios as the global economic rebound continues in 2017. ADR, EDR, GDR: What's the Difference?